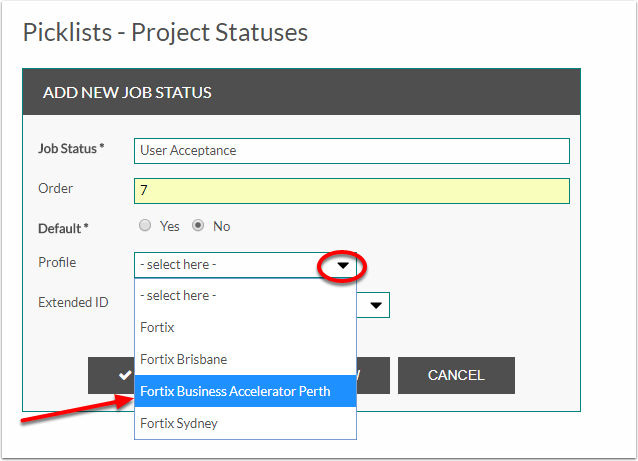 Project status in Fortix is one method of addressing the importance of project communication. Project Status reflects the direction of the Project in one word. 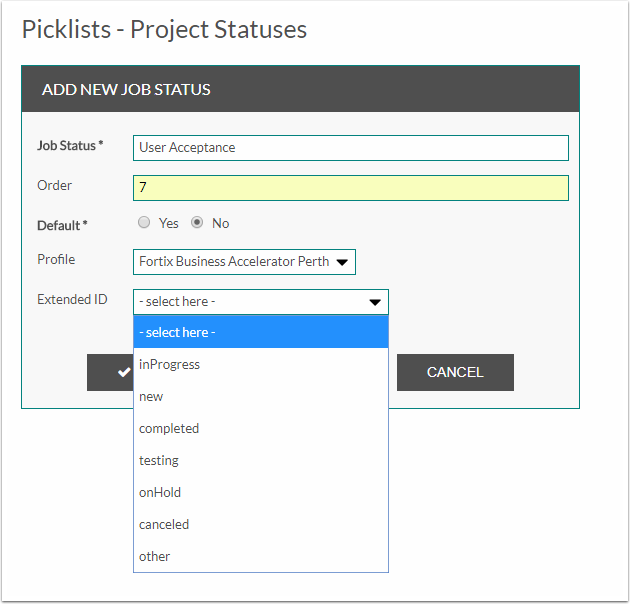 This article explains how to create a Project Status Picklist. Click Project Statuses tab under PROJECTS section in the Picklist page page. The Picklists - Project Statuses page opens with a list of PROJECT STATUSES. Click Add New to Add another Project Status. Add the new Job Status, Order of display in the list and if it should be a Default status. Click the down arrow in the Profile field and select which company Profile this Job Status will be visible to. Refer article How to create a Profile. 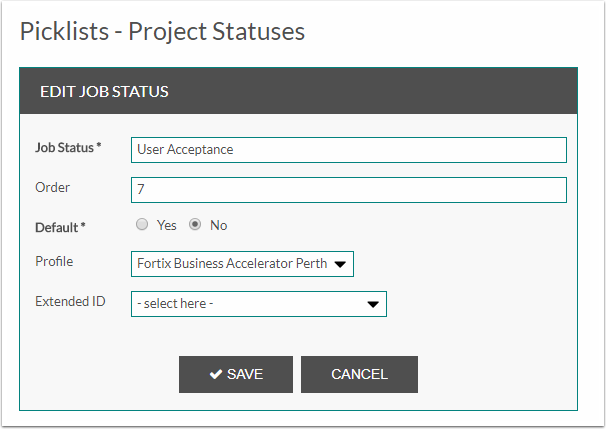 Only records belonging to the assigned Profile will see the Project Status. Extended ID is used as a system field and should be ignored.